Wat doen RPO vir sy lede? Stock theft in KwaZulu-Natal is a major problem that is hampering the prosperity of farmers in the province. The Kwa Sani area was one of the ‘hotspot’ areas and for this reason a study was conducted in this area to acquire information about stock theft, and analyse data gathered in the Kwa Sani Local Municipality, regarding the factors that could contribute towards and curtails stock theft. A non-probability and biased sample was chosen, that constituted farmers in Kwa Sani. The research was done by gathering information through questionnaires. A total of 196 questionnaires was received back. The research confirmed that the following factors are influencing stock theft. The stock theft declined in the last 5 years but there was a slight increase in 2015. In 71.5% of the time, the animals were stolen during the night with the majority early in the evening at full moon. Livestock theft mostly took place over weekends on Sundays followed by Saturday and Friday. 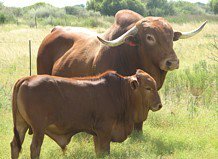 Farmers indicated that stock theft tended to happen during the winter months and over December. 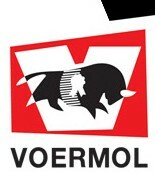 The Red Meat Producers Organization (RPO) is a service organisation that acts as mouthpiece for South African commercial red meat producers.